Intransitive verb to pass slowly through something or spread throughout a place. • I let the idea percolate through my mind. I took the title of this post from the history of Headquarters company, Third Battalion, One-seventeenth Infantry. To summarize what the quote below says, Percolate was a code word used in WWII by many units to designate the order for attack on the enemy. Easy was a word derived from the Time of day the attack was scheduled to take place. In this case 8am because eight starts with the letter "E." If the attack was to take place at 5am, the command would be "Percolate Foxtrot." 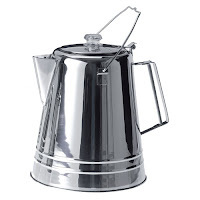 Percolate Easy is the Master Thesis written by Capt. William P. Buttler. It was written in June 1947. 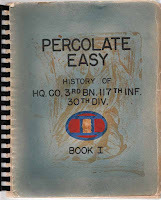 Percolate Easy takes its name from a simple but effective strategem used by regiment to indicate that an attack was due. 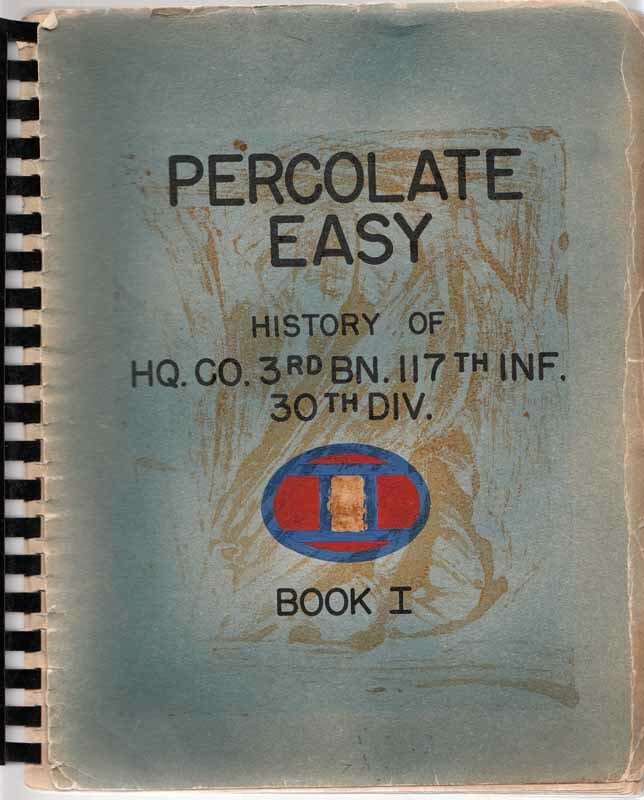 When a battalion staff officer answered the ring of the field telephone carrying a call from Regimental HQ, the only words needed for the latter to order an attack for the following morning were "Percolate", followed by the word indicating the hour for jump-off. A word beginning with "E" designated 8:00...thus "Easy". Now that I've given the history lesson for the day, allow me to discuss "percolate" as it relates to the craft of writing. 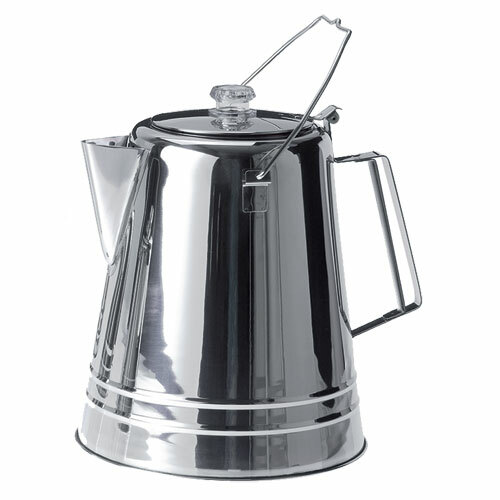 I like to let ideas percolate. At any time, I might have five or six story ideas and numerous characters percolating in my head. Most of this percolating is done on the subconscious level but, occasionally, a character bubble will bump into a story bubble and magic happens. I imagine some kind of chemicals are released in my brain and an idea comes to the surface. I sometimes dream of this character within my story idea. Do other writers do this? Post a comment and let me know what you think. I imagine that some writers can keep all this information in their head and begin putting words to paper. I know of many writers that simply take their character and story idea and let them develop as they write the story. I, on the other hand, am somewhat of an outliner. I take my percolated ideas of story and character and put them on paper in the form of an outline and character sketch. I start with just one or two characters and a single plot story arc. I then add characters and plots as I write, being careful to update my outline as I go. What about the rest of you? Do you start simple or outline in great detail. Do you begin to write and add plot lines as you go, or do you have it all figured out before you start? And one last question. Do you ever leave any of your plot lines open or unresolved at the end of the story. My current project will end with one minor plot line unresolved. I feel this allows me a spring board for a sequel that is already percolating in my mind. Is it wrong to do this or is it common practice? I'll jot down ideas as they hit. When it's something I really want to work on, then I compose a full outline. I think that's where most of my ideas stay. Percolating inside my head. It is a great description of the process really. Thanks for you comments. I've got just one scene to draft in this current project, and then I will let it sit for awhile. I've had a couple of story ideas "percolating" while I wrote this so, as the current work stews, I'll be starting an outline for mystery featuring a female main character - kind of a Stephanie Plum meets Erin Brakovich amateur sleuth. Or a thriller with a science fiction element. I wish I had an army to help me attack my writing- but I am singularly responsible for my attack strategies. We must be thinking on the same wavelength because I was reading the military science for warriors and applying it to my disipline in writing. On plots- I think if your characters are stong enough- there is always room for another path to go on. My present stories are all in outline form and I have the "path" but the adventure is not formulating as it needs to but I have got to do it. perculating is not a good place for my writing now, unless it is for the attack! OH yes, I did not forget- SCREAM!!!!! I'm thrilled for your finished manuscript!!!! SCREAM!!!! My short stories come from one liners that just pop into my head. The whole Ricky Stokes Vietnam story came from "I smell soy sauce, that means ninjas".